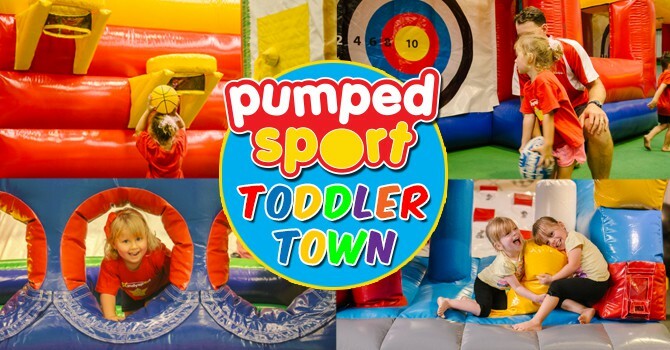 Toddler Town is a Pumped Sport program designed to encourage play based gross motor development in children from the age of 18 months. The program is designed to create a positive learning environment where children can primarily have fun but also interact by themselves, with friends, our coaches or with Mum and Dad at various inflatables and game stations to develop gross motor skills. Children develop through play and we encourage parents to interact with their children throughout the session (which means yes you can hop on the inflatables too). Click here for upcoming Toddler Town events.